The Articulated Gauntlets are so flexible that you can make a fist while wearing them! This characteristic enables swift movement and more agility in handling weaponry. They prove to be an essential for the noble medieval knight. 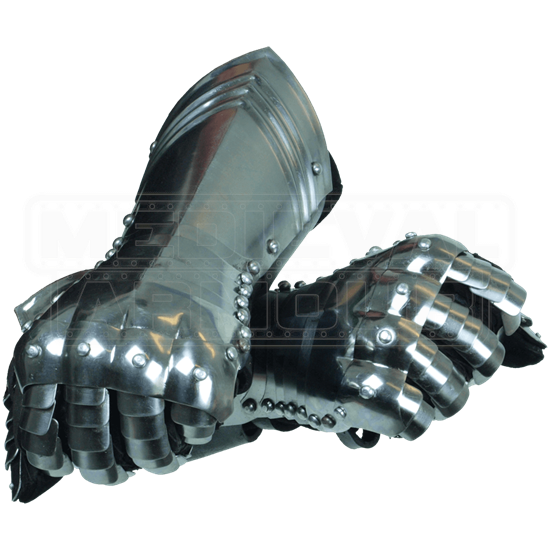 Made from 18 gauge mild steel, these gauntlets are fully articulated, and all the joints move. The polished metal plates possess rolled edges, and provide protection for the forearm, wrist, knuckles, and fingers. To make wearing these gauntlets comfortable, they include a soft suede inner glove. 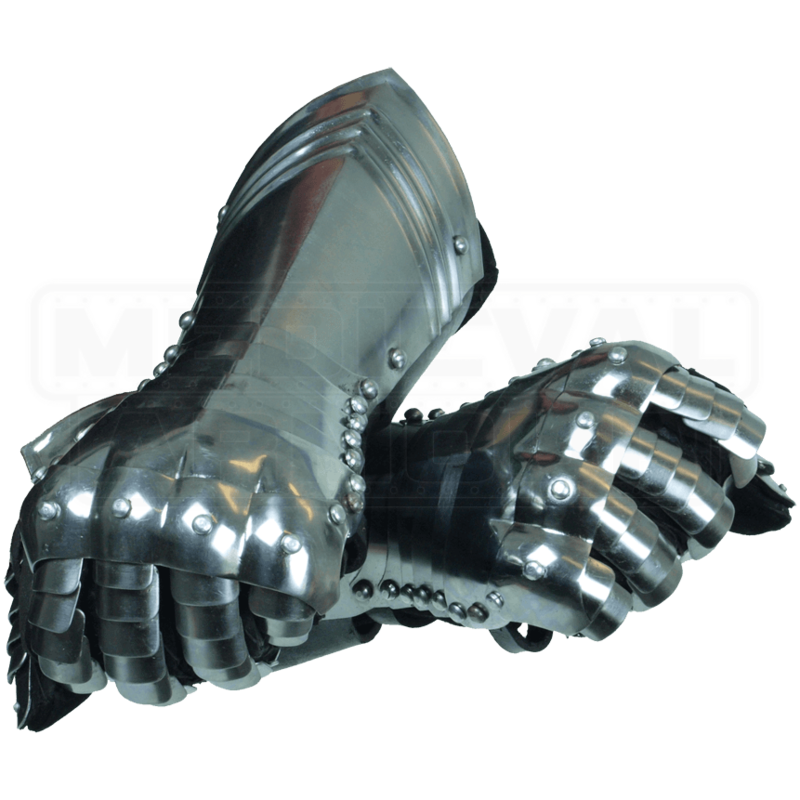 To properly maintain your steel gauntlets, always keep the metal away from water and lightly oiled to prevent rusting. Occasionally clean the gauntlets with metal polish and re-oil them. Care Instructions- Keep away from water. Clean with a metal polish and re-oil occasionally to properly maintain the gauntlets. Very pleased with this purchase. They are well made and they have good movement in the joints.